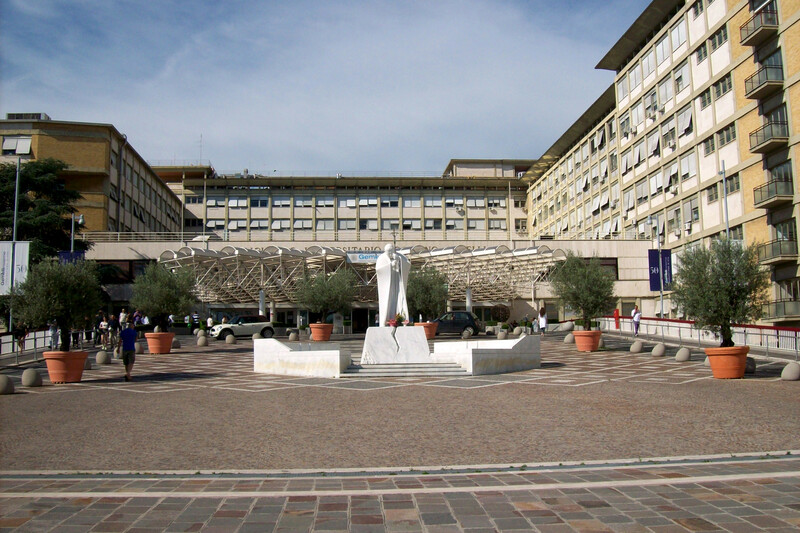 Pope Francis on Sunday evening visited Cardinal Roger Etchegaray in the Gemelli Hospital. The 93-year-old French cardinal lost his balance and fell on Sunday at the end of Mass in St. Peter’s Basilica, fracturing his left femur. The Vatican press office reported that the cardinal’s prognosis is good, but he will require an operation to repair the fracture. During the 15-minute visit, the cardinal thanked the Holy Father in particular for the recently concluded synod, and the Pope gave the cardinal his blessing. Vatican Radio noted that Cardinal Etchegaray suffered a broken leg and hip on Christmas Eve in 2009, when a mentally ill woman jumped the barricades at Midnight Mass in the Vatican, knocking him and Pope Benedict XVI to the ground.